Temple Beth Israel opened its early childhood program, Temple Beth Israel Preschool and Daycare, in 1988. A new education building had just been built, and a new program for young children opened to the community. The philosophy of the early childhood program has remained constant over the years: The aim of our program is to provide a nurturing environment that will support children in their effort to establish self-identity, self-esteem and a growing desire for independence within the context of the teachings of Reform Judaism. Utilizing the best of early childhood practices, our school promotes cognitive, motor, emotional, social and language development. This is based on the philosophy that education cultivates individuality and self-expression with a social context. TBI Preschool is a non-profit component of Temple Beth Israel. 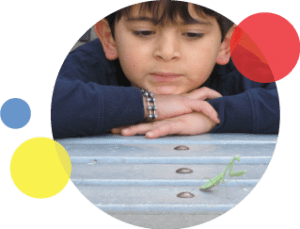 As a Temple Beth Israel program, the preschool is fortunate to have the services of Rabbi Jonathan Kupetz and Cantor Paul Buch available to our preschool community. Every Friday morning, our children gather together in the TBI Sanctuary for a Shabbat Experience, facilitated by Rabbi Jonathan and Cantor Paul. Our clergy participate in other Jewish holiday events with our preschoolers, such as a Chanukah luncheon, Children’s Seder and Megillah reading, within the temple’s facilities. TBI Preschool families are always welcome to participate in Temple Beth Israel activities. At TBI Preschool, our curriculum includes teaching our children to help others through the Jewish concept of mitzvot, performing good deeds or charitable acts. The TBI Preschool community is currently participating in a mitzvah project, of collecting used crayons and sending them to The Crayon Initiative. This non-profit organization recycles crayons by melting them down, creating new crayons, and distributing the crayons to hospital pediatric units. There is a collection box for used crayons across from the preschool office. Please collect used crayons from home, as we will at school, and add them to our collection box. Teachers will be talking about this project with the children, and we encourage parents to discuss this project at home..... a way of both helping our environment and giving to children who are in the hospital. We will be collecting crayons through June, and then sending them on to the Crayon Initiative. 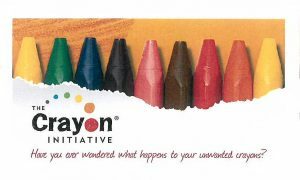 Click here to learn more about The Crayon Initiative.